The very first Android phone (called the HTC Dream or the T-Mobile G1) was launched in 2008, a year after the first iPhone - since then Android and iOS have gone on to dominate the smartphone software scene, with major new releases launched each year. While the two mobile OSes have borrowed plenty of features from each other down the years, there are still some crucial differences - and still some areas where Google's creation has the edge over Apple's. 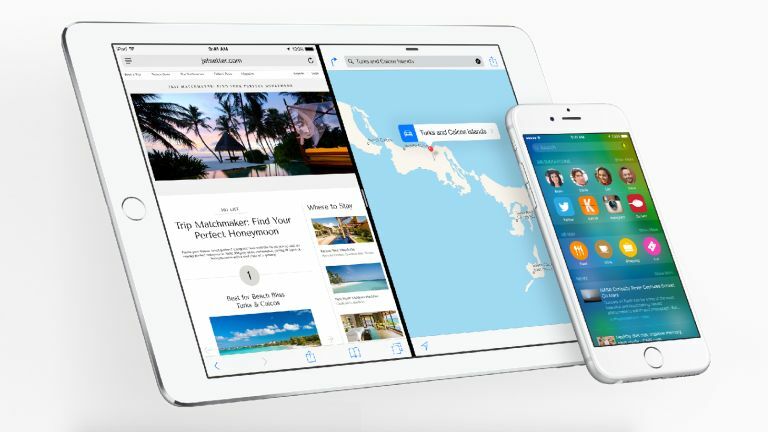 Here are the Android features we think iOS 9 needs to have. The ways in which users can tweak and customise Android remains one of the big differences between it and iOS, despite Apple's introduction of Notification Centre widgets. The rows of home screen icons on iOS are starting to look a little dated - particularly on larger screens - and having calendar or email information in a widget can be really useful. Android also supports third-party launchers that completely transform the look of the UI, enabling you to create a phone that's very much your own. Apple might have allowed third-party keyboards into iOS but there's still a lot of work to be done: for example, if you don't like Apple's text messaging client then there's no way you can swap it out for a different one, like you can on Android. Then there's the default apps problem, something Android handles well and iOS ignores - if you want to use Chrome as your mobile browser rather than Safari, you shouldn't have to put up with links still opening in Apple's browser from other apps. Not giving users access to the files on iOS is probably a wise move as far as system stability goes, but we think most of the people with the software installed would be happy to take the risk if they could browse their phone or tablet as easily as their computer. Finder is an excellent file browser on the Mac, so Apple's engineers know what they're doing in this area, and the recent updates to Android 5.0 Lollipop show how you can manage file access without sacrificing ease of use. iOS does have some rather nifty sharing features - for those times when you want to tweet out a link or send an email attachment to Instagram - but Android's sharing menu is still superior. On Google's mobile OS you can share pretty much anything to pretty much any app, and while this makes for a rather lengthy list of options, it does mean you're not restricted in what you can do. Apple has made a good start but it could go further. The debate over whether a system-wide back button is a great or a terrible idea continues to rage between Android and iOS users, but from our opinion is that it does add something useful to the mix: it means you can jump back to wherever you were (whether a website or a different app altogether) with one tap on a button that's always in the same place. It's particularly helpful when you're bouncing around between apps (opening websites from Facebook and so on) and want to retrace your steps. Android 5.0 Lollipop introduced the idea of guest mode for Google-powered phones - it works like the guest mode on a desktop or laptop computer and means you can pass your phone over to someone else without worrying about your apps or settings getting messed up in the meantime. It's such a useful option to have that we're hoping it's somewhere on Apple's shortlist of features to add, especially as the iPhones become more powerful (and better equipped to handle more than one user account). Recent updates to Android have ushered in a few very handy security features that iOS would do well to copy. Chief among them is Smart Lock, where you can disable your device's PIN code while you're at home or anywhere else that's safe - depending on how often you check your handset, that can save you a lot of time. There's also an on-body detection, where an Android device will lock itself as soon as you put it down away from your body. The Google Now vs Siri face-off has become a major part of the larger battle between Android and iOS, and we can't help but feel that Siri could be a bit more... comprehensive. Apple knows this too, which is why the iOS 9 version of Siri is more proactive than ever before, but it still can't match Google Now in terms of surfacing important information (traffic times, sports scores, news stories, weather forecasts) before you even know you're going to need them.